Head-To-Toe Beauty Products For An *Indulgent* Post-Wedding Session At Home! Once the wedding madness is over, every bride needs some time to pamper herself and relax. 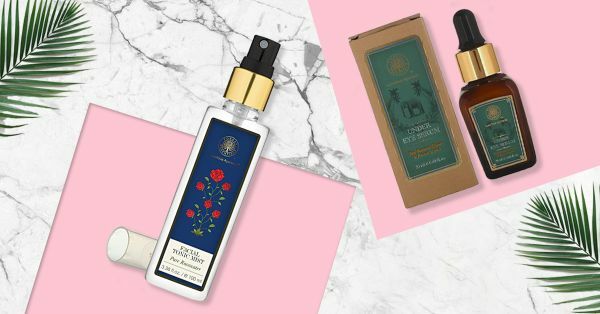 In case you have a few days after your wedding and before your honeymoon, we suggest you use some of these beauty products to de-stress yourself and rejuvenate for that much awaited honeymoon. And no, you don’t have to spend a lot of time (and money) in the parlour either! Here is a list of our favourite, all round, head to toe beauty products that are best for an indulgent pamper session at home. During the wedding functions, your hair might have been exposed to too many heating and styling instruments which could potentially harm your crowning glory. To restore your damaged mane, you can use this nourishing L’Oreal mask which would not only make your tresses more manageable but would also bring the shine back to your hair. Nothing in this world can quite match the much loved mummy ke haath ki champi but this oil comes close. This pure coconut oil is enriched with the goodness of vetiver and hibiscus leaves, will help in de-stressing your tired nerves… Much needed after the week long shaadi festivities! If you are looking to detoxify the skin after your wedding festivities, then this Body Shop clay face mask will be your trusted favourite.This 100% vegan Himalayan charcoal purifying glow mask not only helps in cleaning the clogged pores but would also release all the impurities and toxins. An eye serum containing rich coffee bean, red banana flower extracts and potato starch would help in reducing the appearance of fine lines and those stubborn under eye dark circles. It would help in soothing your tired and puffy eyes, which is a boon if you have erratic sleep schedules. We suggest you use this all round facial cleanser to give your skin a daily dose of pampering. It will help you cleanse your pores and dissolve the dirt, oil, grime and makeup. It would also efficiently remove the dead skin cells that will leave your skin feeling soft and healthy. For that gulabi glow, this all natural rose water from Forest Essentials would be perfect. It even comes enriched with rose oil hydrating fragrance that helps soothe the mind while adding moisture back to your skin. Great for when you need a cooling spritz on your face, in between running errands as a newlywed bride. This day and night moisturization combo contains vitamin B3, pro, vitamin B5 and vitamin E which would add a beautiful glow to your skin during the day and help your skin recover even while you are fast asleep. Your lips need some pampering too. Use this lip balm to hydrate and repair chapped lips. You could use it on the go or even before applying a lipstick to make it more soft and supple. This oil based scrub is made with sweet almond oil, pure rose and cedarwood essential oils which would not only soften your skin but would also make it smell delicious! Oh, and you can even pull in your hubby along while you are at it. A spray moisturizer is a quick fix way to moisturize your skin while you are on the go. The spray is designed for easy application and is also non greasy. The combination of cocoa along with Vaseline jelly would leave your skin feeling soft all day. You don’t need to run to the parlour for a manicure and pedicure, this kit will help you get the same at the comfort of your home. It comes equipped with a cleanser, hands and foot scrub and even a relaxing cocoa butter cream to help moisturize the skin on your hands and feet.